Conditions Similar to IBS: Do I have IBS or something else? Do I Have IBS or Something Else? Irritable bowel syndrome (IBS) is a condition that can cause a range of different symptoms. These symptoms can come and go, and may change over time in terms of type and severity. The main symptom of IBS is pain and cramping in the abdomen, which is linked to a change in bowel habits such as diarrhea or constipation (or both). Other common symptoms include bloating, gas, heartburn, lower backache, the urgent need to use the bathroom, and/or a feeling of incompleteness after a bowel movement. If you have symptoms that suggest you may have IBS or something else, it is very important to talk with your healthcare provider. This is the best way to work toward finding out the cause(s) of your symptoms and starting an effective treatment plan for you. It is important not to try and diagnose yourself with IBS or any other condition. Unfortunately, there is no specific blood test or diagnostic test that can be used to make a definite diagnosis of IBD. Your healthcare provider will ask you about your symptoms in detail, do a physical examination, and take your medical history. As part of the diagnostic process, the healthcare provider will try to rule out other conditions as the cause of your symptoms. 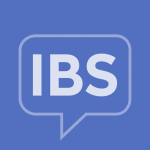 How is IBS different than IBD? How is IBS different than celiac disease or lactose intolerance? Celiac disease is a condition in which eating gluten (a protein found in wheat, rye, and barley) causes the immune system to damage to the inner lining of the small intestine. This keeps the person’s body from being able to absorb enough nutrition from digested food. IBS is not related to the immune system, nor does it cause damage to the inside of the intestines. Celiac disease can cause symptoms that are not related to the digestive system (such as joint pain, osteoporosis, or dental problems), while IBS cannot cause symptoms outside the digestive tract. Some types of cancers can cause symptoms that are similar to symptoms caused by IBS, such as colon cancer or ovarian cancer. However, they also cause symptoms that IBS does not. For example, colon cancer causes symptoms such as rectal bleeding and unintended weight loss.